Forever Stamp of Robert Robinson Taylor « Adafruit Industries – Makers, hackers, artists, designers and engineers! Forever Stamp of Robert Robinson Taylor. TUSKEGEE, Ala. (January 23, 2015) —The most prolific contributor to Tuskegee University’s structural design and the architecture and construction school’s namesake will soon be remembered with the launch of a U.S. postage stamp. On Feb. 12, the United States Postal Service will issue a limited edition of the Forever Stamp of Robert Robinson Taylor. The stamp is the 38th addition to the service’s Black Heritage series. 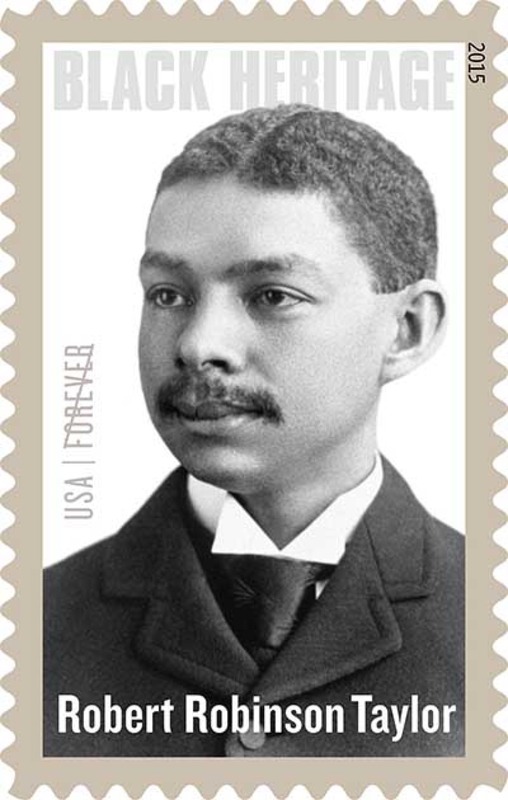 The stamp will be officially introduced during a ceremony at 11 a.m. EST in the atrium of the Smithsonian National Postal Museum in Washington, D.C. Tuskegee University president, Dr. Brian L. Johnson, will bring remarks, along with Valerie Jarrett, Taylor’s great granddaughter and senior advisor to President Barack Obama, and Massachusetts Institute of Technology (MIT) president Rafael Reif. “Robert R. Taylor’s historic and stellar legacy and association with Tuskegee University is already etched in the annals of American history. With this stamp, it will be permanently etched in all of world history,” Johnson said.